From time to time, we breed our bulldogs. 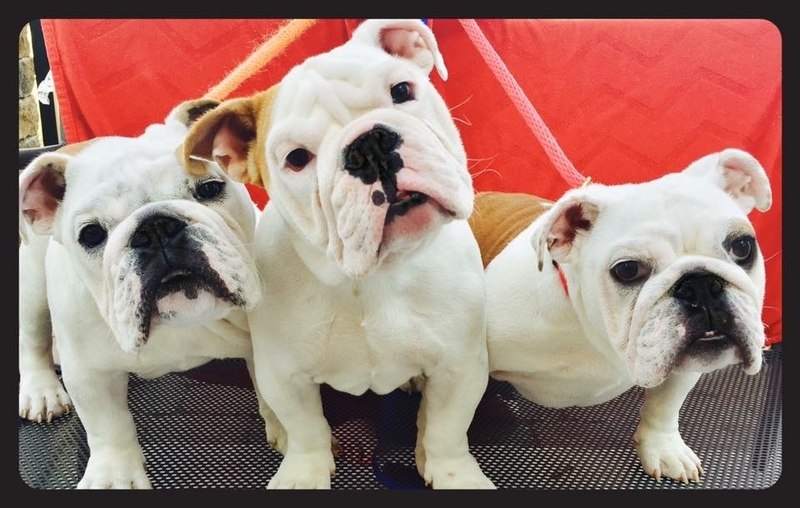 Our dogs are bred to produce superior health, temperament and to conform to the AKC bulldog standard. We typically only breed to produce bulldogs for showing. As a result of our infrequent breeding and superior pedigrees, our puppies are in high demand and are usually spoken for before the litter is born. If you are interested in a puppy from one of our future breedings, please contact us. In addition, we have full health testing done on all the parents, including OFA and CHIC testing. 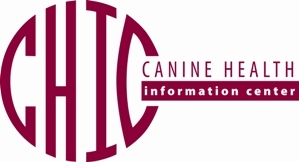 We will fully disclose the health test results to all prospective owners in our puppy packet that will accompany the puppy. 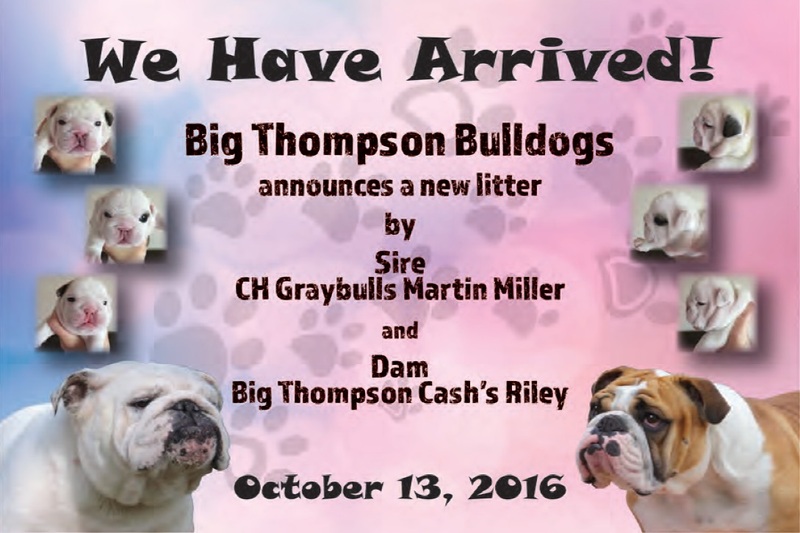 Please see our past litter announcements below. 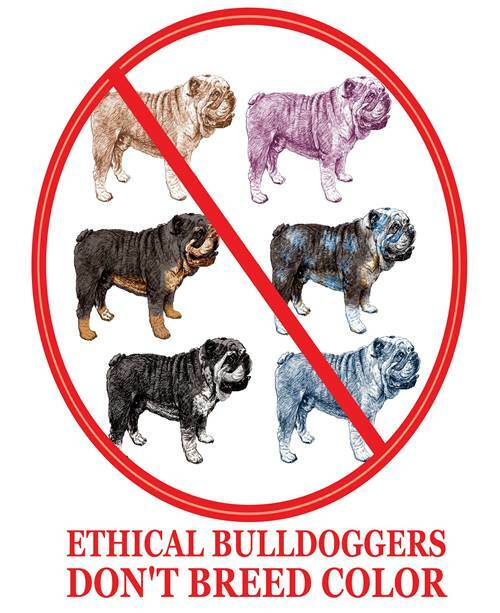 Warning: Do not purchase and beware of “rare”, “exotic” and “fad” colored puppies and bulldogs. 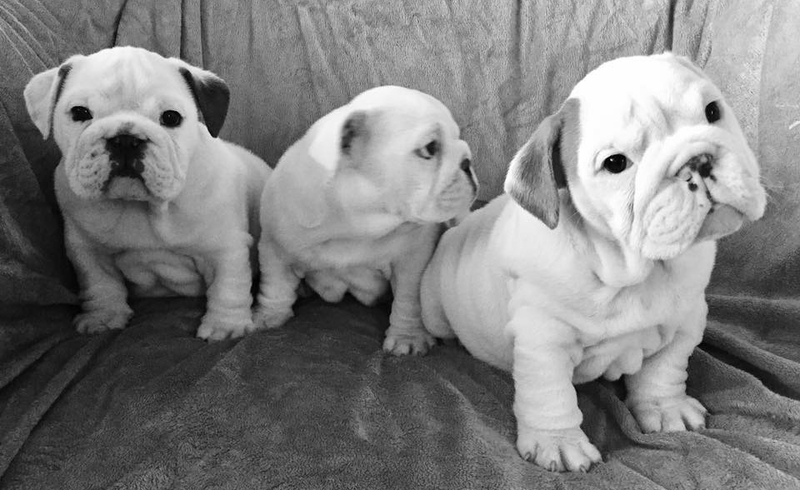 These colors include any Non-Standard color for the bulldog breed, such as, Black, Blue (Grey or Mouse), Chocolate-Liver-Seal (what we refer to as a Dudley), Lilac, and Merle. 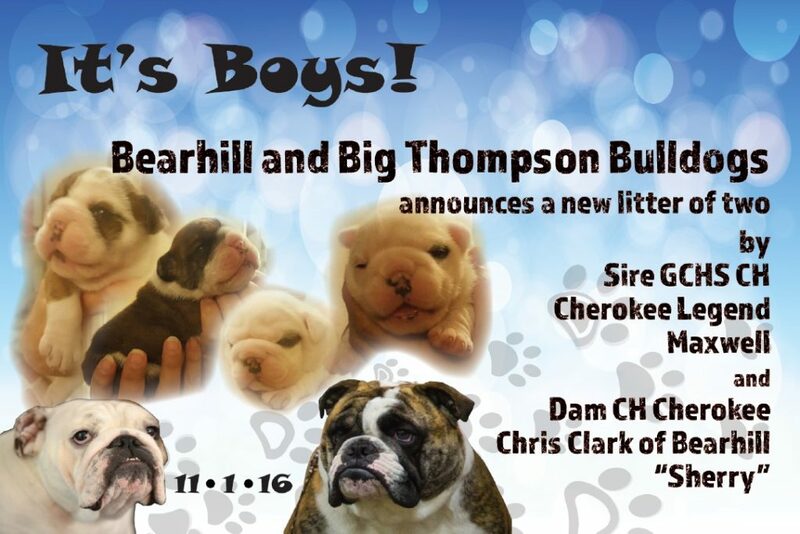 The Pacific Coast Bulldog Club has put together an excellent article to explain why you should avoid these types of puppies and bulldogs. Click here to download the article.